The British Council for Offices (BCO) has announced Katrina Kostic Samen as its new President. Katrina Kostic Samen, Founder and Managing Partner at KKS Strategy, formally takes over the position from Ken Shuttleworth, Founding Partner of Make Architects, at the BCO’s Annual General Meeting in London on Wednesday 11th July 2018. As Chair of the BCO Annual Conference held earlier this year in Berlin, Katrina set out the vision for her Presidential year, challenging delegates to look at the workplace from multiple occupier perspectives, and to ensure that they are designing and delivering offices which are inclusive and provide for a diverse workforce. Commenting on her appointment, Katrina said: “As technology evolves at pace, and the way we live and work changes, so too must our commercial offices. Katrina started her career at Wilmot Bower Architects, before moving to Gensler where she was instrumental in setting up the firm’s London office in 1989, and went on to become its first female Partner. After 19 years at Gensler, Katrina founded KKS in 2004, an all-female-led interior architectural practice based in London. The practice today both advises major developers and end users in the financial, legal, insurance, media and corporate sectors throughout the UK, USA and globally. Katrina regularly speaks on best practice for workplace design, development criteria, and occupier strategy. 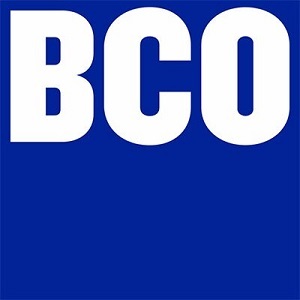 She has been a BCO member since 2006, a Board Member for eight years, and will be the organisation’s third female President.